The woman’s shoe on display in Saalburg is proof of the elegance of Roman women. We are all aware that the ancient Romans were outstanding engineers and built roads to facilitate access by the legions to the Empire’s boundless expanses. But were we aware that they were also exceptional fashion designers? In the Roman Empire, the shoe was a status symbol. A recent archaeological discovery perhaps proves that today’s Italian shoe designers carry on a rich tradition in this craft. 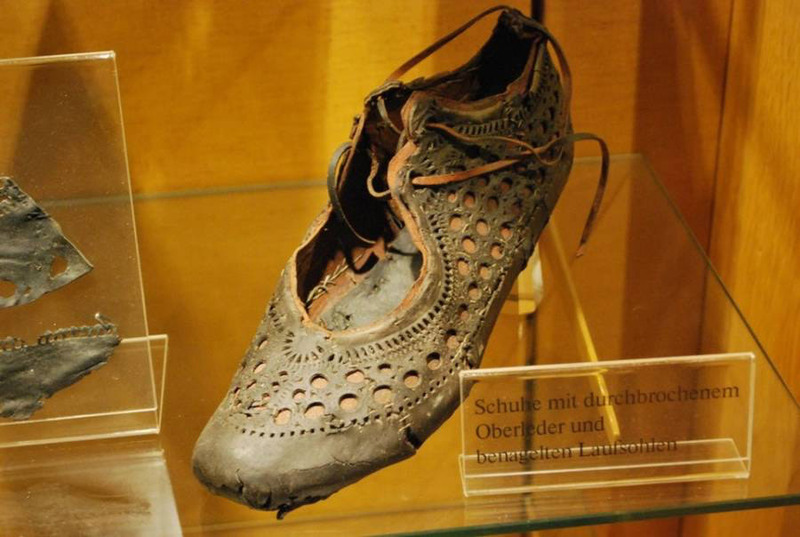 A woman’s shoe on display in Saalburg (today’s Germany) is proof of the elegance of Roman women. Saalburg was a Roman fort on the summit of Mount Tanus and part of Roman border fortifications. It was huge and together with the surrounding village home to approximately 2,000 people in its heyday. It was constructed in 90 A.D. and remained in operation till 260 A.D.
Saalburg is a UNESCO World Heritage Site since 2005 and has a museum in which a 2000-year-old woman’s shoe is exhibited, discovered in a well. In ancient Rome, women’s shoes were decorated with embroidery, motifs and often with lace, displaying the wealth and social status of the Roman woman who wore them. The fact that this particular one was found in Germany and was once worn at the ends of the Empire, indicated that the high art of shoemaking was practiced everywhere. Moreover, it shows that today’s choices of shoe designers are not so very different, in terms of invention, from those of their distant ancestors.